Welcome to day 2 of Smoothie Week! In case you missed Monday’s post, here’s a quick catch up: Yesterday was National Smoothie Day and rather than just spending one day celebrating my favourite blended bevvy, you’re in for an entire week (well, 3 posts) of smoothie recipes, pro tips, and giveaways. 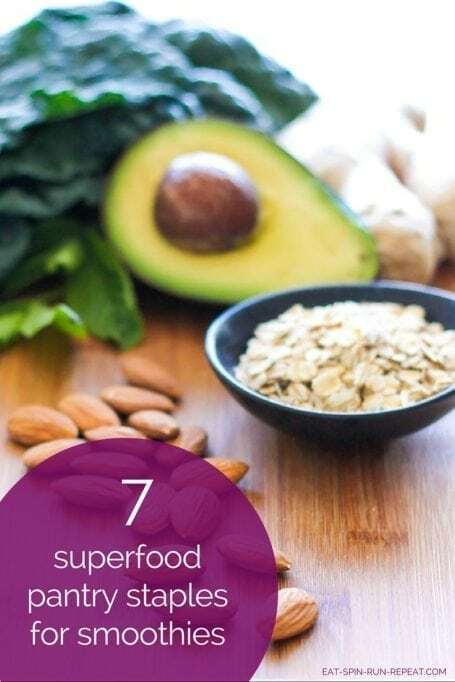 Today I want to talk about 7 of the superfood staples that I throw into my smoothies on a daily basis, many of which you’ll have already seen in many of my recipes. I’ll give you a quick lesson on what you need to know about each of them, and theennnnnnnnnn I’ll share a recipe and another great giveaway. Let’s get to it! This has become a staple in my smoothies ever since I met the amazing team behind Salome Naturals at CHFA West this year. Moringa leaf powder comes from the leaves of the moringa tree (as you probably expected), and it’s been used worldwide for improving health issues of all kinds, from anemia to asthma, arthritis, diabetes, cancer, digestive issues and many others. It contains 90+ vitamins and minerals. Moringa is believed to be an extremely potent anti-inflammatory. It’s also a coagulant which means it can help bind to harmful waste products and carry them out of the body. It’s been suggested that it can help stabilize blood glucose, lower blood pressure and boost metabolism. You wouldn’t expect it but goji berries are high in protein, containing 18 of the 20 amino acids. They’re also rich in antioxidants (making them a great choice for skin health), over 20 vitamins (mainly A, C and E) and minerals. By weight, goji berries contain more vitamin C than oranges, more beta-carotene than carrots, and more iron than soybeans and spinach. 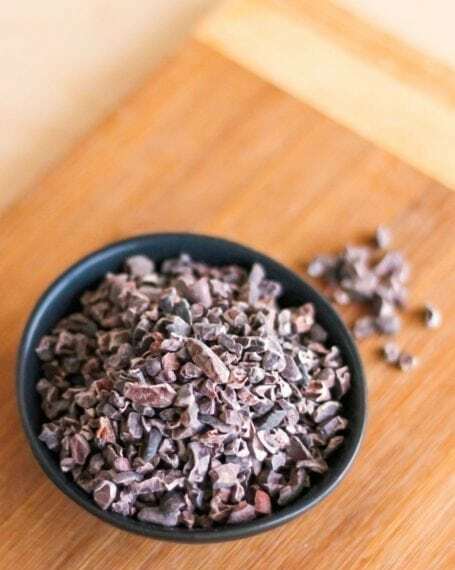 Cacao contains anandamide and phenethylamine, also known as bliss chemicals that can improve mood, trigger endorphin release and make us feel happy. It’s high in fiber which means it’ll help you to feel full. Pure cacao powder – especially when eaten raw – is full of antioxidants, vitamins and minerals. One in particular is magnesium which can help us sleep better and can decrease muscle cramping. That’s especially important for athletes! 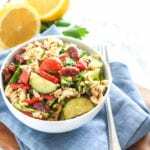 Others include iron, polyphenols, flavonols, antioxidants, and essential fatty acids. Raw cacao powder is one of the richest natural sources of antioxidants found in nature, and it contains even higher levels than your favourite bar of dark chocolate. Maca is an adaptogen, which means it helps your adrenal system to respond to stress and energy needs in the moment. The word ‘adapt’ suggests change, and that’s exactly what adaptogens do – they adapt to help your body cope with anxiety, to manage stress, and to regulate energy without crazy crashes and spikes. It’s full of vitamins (B1, B2, B, C, D and E) and minerals (iron, magnesium, copper, potassium, selenium and calcium) and fiber. Maca also contains amino acids which help with performance, muscle recovery and growth. The positive impact that maca has on the adrenal system would also suggest that it can have a positive impact on hormone balance and thyroid health. It’s also an aphrodisiac. ? Hemp is one of the most easily-digestible and absorbable plant-based sources of protein. 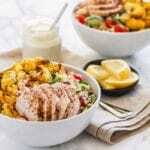 It contains all of the essential amino acids and composition-wise, it contains more protein by weight than lots of other protein sources – even animal-based ones. 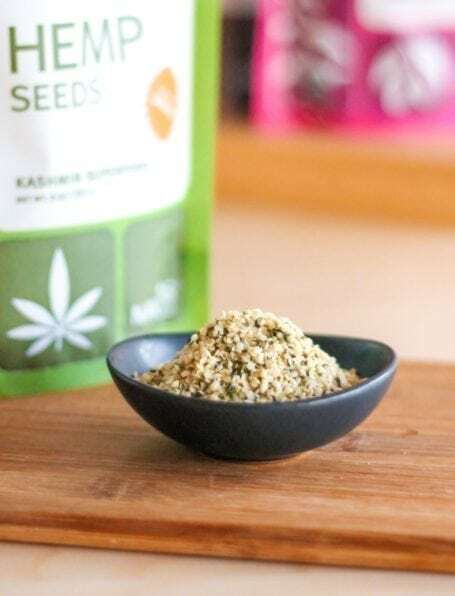 Hemp is also very rich in fiber, minerals (magnesium, iron, zinc, and potassium) and healthy omega 3 and 6 essential fatty acids. They’re full of healthy essential fatty acids (even more than salmon), antioxidants, protein and fiber. 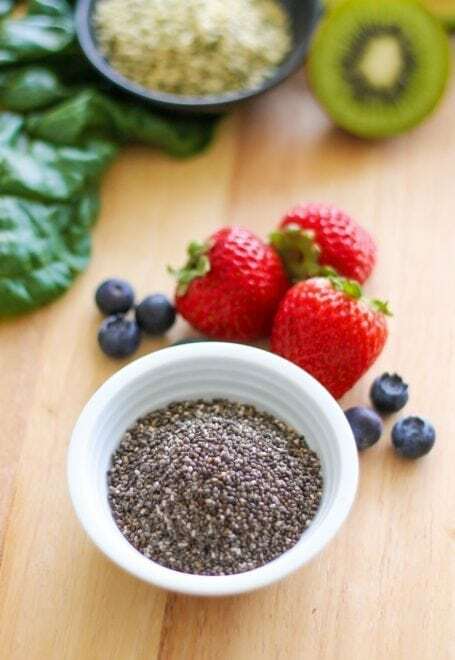 Chia seeds can absorb 9-12 times their volume in water, so they’re perfect when used as smoothie thickeners if you let them sit and absorb the liquid for a few minutes. Micronutrients include omega 3 fatty acids, fiber, protein, vitamins, antioxidants, iron and calcium. 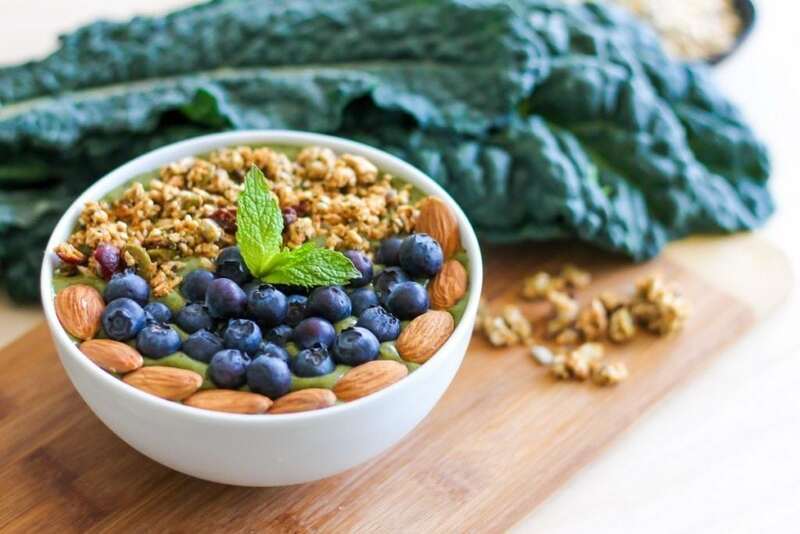 Aside from smoothies, you can work them into pretty much any dish from oatmeal and yogurt parfaits to recipes that call for eggs (since they can be used to make a ‘chia egg’). Açai (pronounced a-sigh-ee) bowls have become really popular in thanks to companies like Sambazon who sell ready-to-use frozen acai berry puree. Can’t find them? No worries – you can still take advantage of everything açai berries have to offer by adding them in powdered form to your smoothies. Acai berries provide antioxidants and fiber. Acai also contains essential omega omega fatty acids that our bodies need to create healthy skin and hair. Micronutrients include resveratrol (an antioxidant), calcium, copper, magnesium, potassium, vitamin E, zinc, polyphenols. 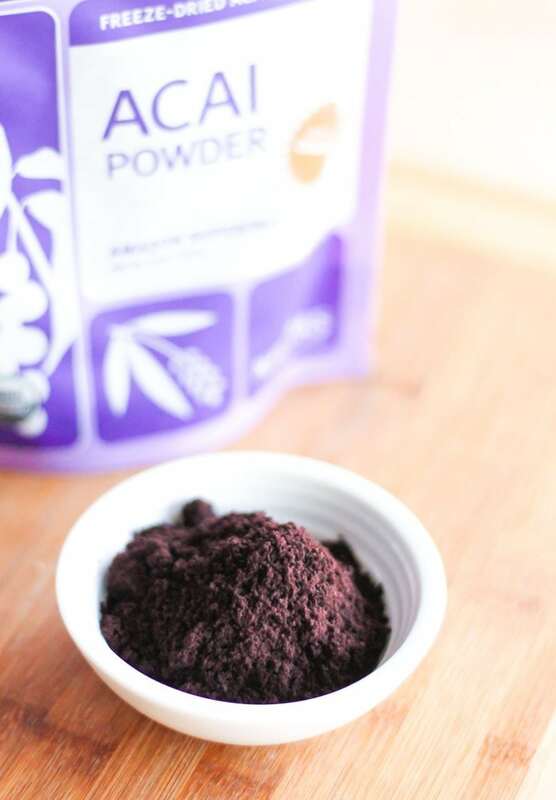 Acai powder doesn’t dissolve easily in water, so you’ll probably enjoy it much more in a smoothie than if you were to try stirring it into a juice. I said I’d give you 7 superfoods, but I wanted to throw in one more that I’ve talked about before which is sea buckthorn. These are super resilient berries that grow in the Himalayas and contain omega 3, 6, 7 (yes, 7) and 9 fatty acids. My favourite source is Sibu’s Omega 7 Pure, which is a concentrated sea buckthorn berry puree that adds a lovely tartness to smoothies. I wrote an entire post about these a while back, so be sure to check it out here. And now for that recipe, a Stress Release Smoothie. 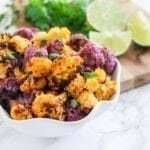 This one uses two of the superfoods above and a bunch of ingredients you might already have sitting right in your kitchen. 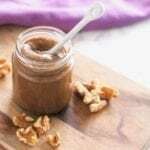 Everything in this smoothie has been added for a reason, from the superfoods explained earlier, right down to oats and cinnamon which help keep blood sugar in check, therefore preventing energy rollercoasters and mood swings. Toss everything in the blender except for your ice cubes and toppings. Blend until completely smooth. Add the ice cubes and blend again. Pour into a bowl and top with additional blueberries, almond, bits of dark chocolate, your favourite granola and a sprig of fresh mint. Today’s prizes are courtesy of 2 of my amazing partners, Navitas Naturals and Salome Naturals. 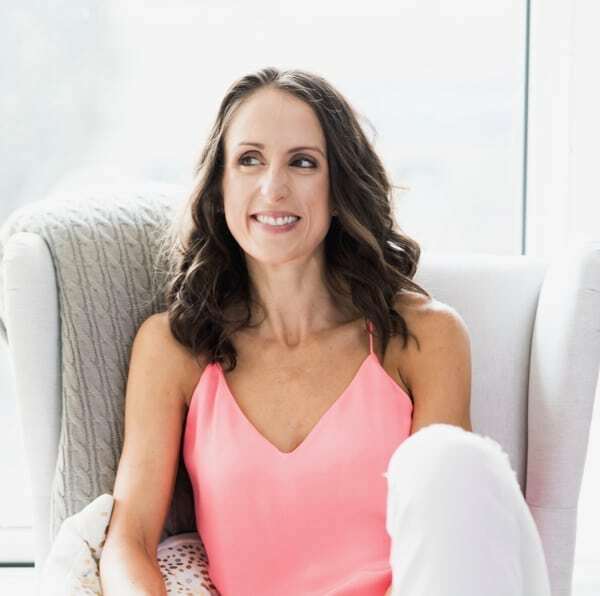 One reader will receive a bag of Navitas Naturals Goji Berries, Cacao Powder, Cacao Nibs, Maca Powder, Hemp Seeds, Chia Seeds, and Acai Powder, as well as Superfood Smoothies, a beautiful book by Chef Julie Morris (read more here). 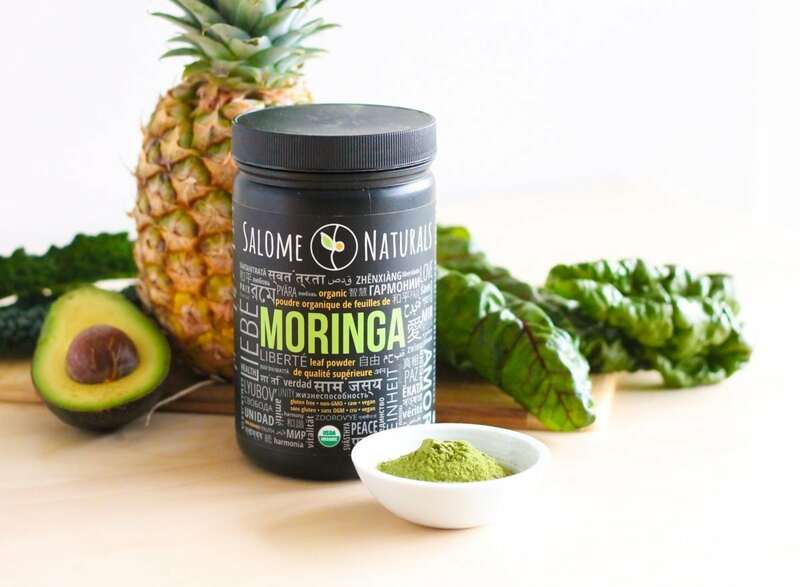 One reader will receive a full-sized tub of organic moringa leaf powder, perfect for mixing into your favourite smoothie recipes or anything else that you want to give a nutrition boost! Mandatory blog post comment: Tell me which of the above 7 superfoods you’d like to try and why. Already well-acquainted with them all? Tell me which one is your favourite. Optional bonus entry: Like Navitas Naturals, Salome Naturals and @eatspinrunrpt on Instagram. Comment back here letting me know you did. For both giveaways, Canadian and US residents are eligible. Both will close at 8pm PT on Monday June 27th and winners will be contacted by email. 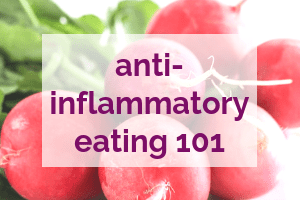 Disclaimer: I’m not a doctor, and all of the health-related information discussed in this post is based on publicly available claims about what is currently thought to be true of these foods in the natural foods industry. Always consult your doc before taking new supplements to be sure they’re right for you. I would LOVE to try Salome Naturals Moringa. I have heard about it lately and want to try for me and my kids. This is an awesome giveaway! Thank you for the chance! I am a triathlete and am in search of the perfect smoothie that helps me in the mornings…. 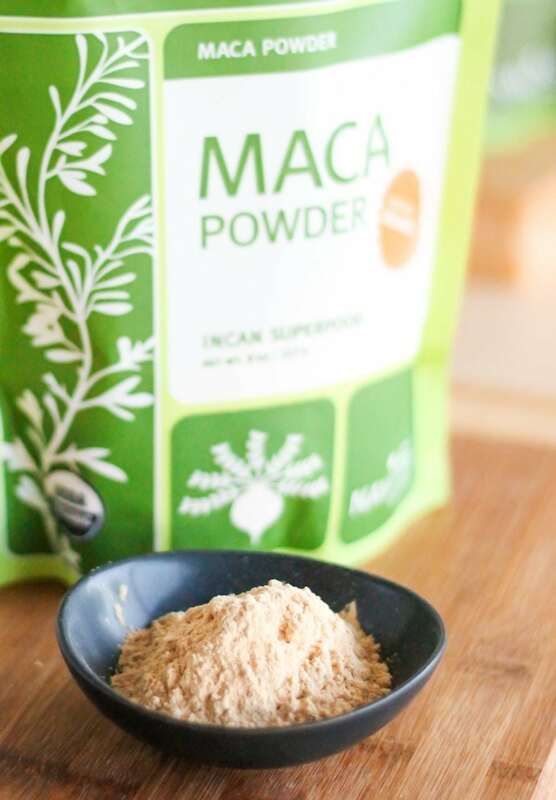 I’d love to try the Maca powder as it’s one of the few I haven’t tried yet and I’ve been hearing such great things about it! I follow and like you on instagram! I’ve been wanting to try Maca powder the most. Currently drinking a pina colada green smoothie full of yummy chia seeds 😀 Yum! I’d not heard of Moringa, but now that I have I totally want to try it. I regularly use all the other smoothie superfoods. I really enjoy the Navitas products and often use them in your smoothie recipes. My favorite smoothie of yours is the Post Recovery Workout Smoothie with lime, coconut, maca, yum! Ok, butterscotch is like my favorite flavor in the whole of the universe! So I would love to try the maca! I’ve had frozen acai pulp before but I’m interested to try the acai powder. 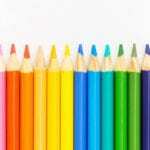 I’ve already been following you but now follow the others as well! You have the best ideas and explanations for smoothie ingredients. I have tried chia and Acai but not the others. 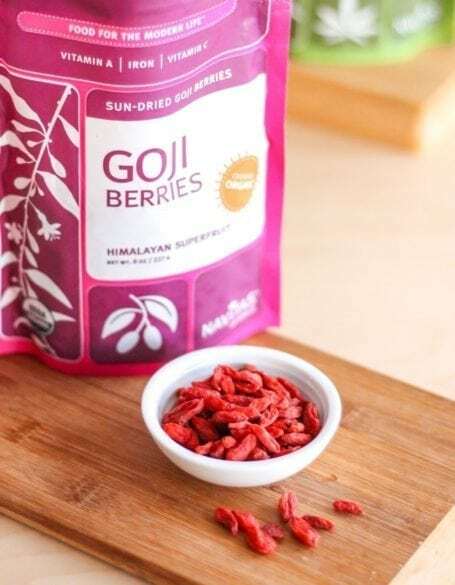 I am intrigued by Goji berries and would love to try those along with Moringa Cacoa, and Maca and Hemp. Pick me so I can not only see but try these tasty and nutritious products!!! I’d love to try the Acai to take my smoothies to next level deliciousness! I’ve never tried moringa! But I do love the flavour of maca. I would love to try the moringa! I had never heard of it before. I regularly use the other ones in my smoothies, salads, overnight oats, baked goods… my favorite are chia seeds, they are so versatile and perfect vegan thickener/egg replacer/gelatin replacer, etc. Oh, and I like Like Navitas Naturals, Salome Naturals and you @eatspinrunrpt on Instagram. 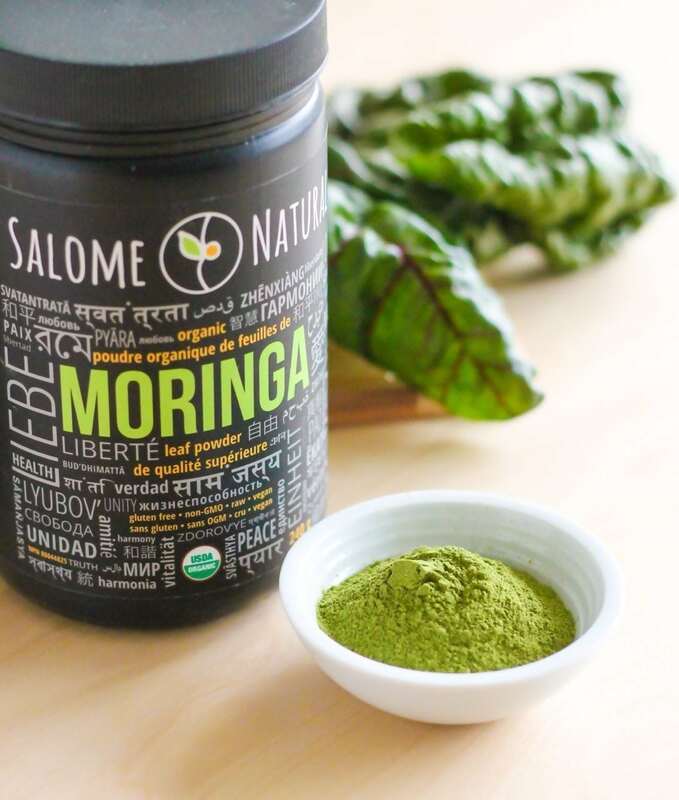 I’ve tried all of the super foods mentioned but I’ve never heard of Moringa leaf powder. I’m curious about this and would love to try it! I would love to try the Navitas Naturals Goji Berries. I have never tried them before and they have always sounded so tasty. Plus, I have read a lot about the health benefits of Goji Berries. I am following all accounts on Instagram. Like many others, I’d love to try the moringa. I’ve been hearing great things about it for a while now, but the cost is a bit prohibitive for me! Thanks for another great giveaway! Oops – and I followed all three pages. Thought I was already following you on Instagram, but I guess not! The Maca powder! 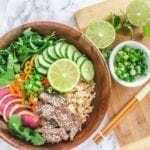 How cool is it that a simple food can reduce stress?? I’ve never had it before but would love to add it to my morning smoothie. I would like to try the Maca, I hear it’s amazing with cashew! Moringa! I love learning about new healthy foods! I had never heard of it, but definitely want to try it. I use cacao nibs regularly and like maca as well. The Maca Powder had me at anxiety management! I recently got off anxiety medication and trying to find natural and healthy alternatives to managing anxiety and stress. 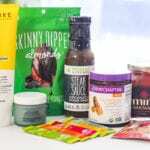 I would love to try all these products but my number one pick would be Maca Powder! I never heard of moringa before, but would love to try it out in my smoothies. Anything with 90 vitamins and minerals is worth my time and money! Reading this I love that I already use most of these in my smoothies. I just bought Moringa and am excited to try it! But now that I know more about Maca I think that’s the one my body needs asap! I would like to try the Moringa powder. I have never heard of it, but it sounds amazing. 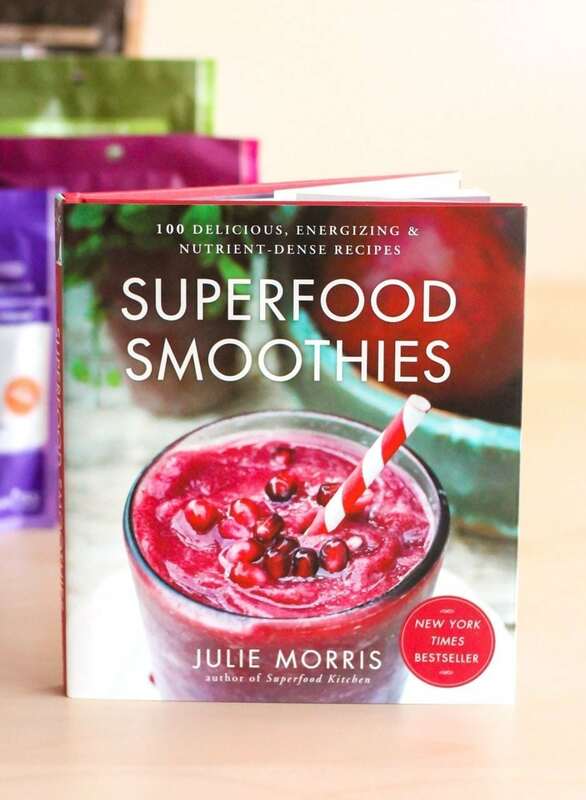 I would also live to have that book “Superfood Smoothies”! Chia seeds are the only ones I’ve tried. Would love to try the others, especially the cacao. I’m looking forward to adding Maca Powder to my and my daughters foods. My teenage daughter is slowly coming around to incorporating new veggies and chia into diet. 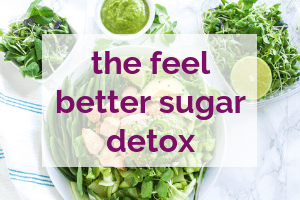 It’s so hard to find satisfying AND healthy snacks for post workouts – she’s a swimmer and really needs something substantial – but not full of sugar and processed stuff. I plan to start trying out some homemade protein packed bars this weekend. My local organic famer has posted he will be offering moringa leaves this week – so I plan to try that too! I’d like the try the Maca powder because I’ve heard a lot of good things about it and the fact is often referred to as a ‘superfood’. 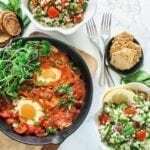 I’d love to try the Moringa since its a complete protein and I struggle to get enough of the right kind of proteins in my diet – and the anti-inflammatory benefit is just the cherry on top! 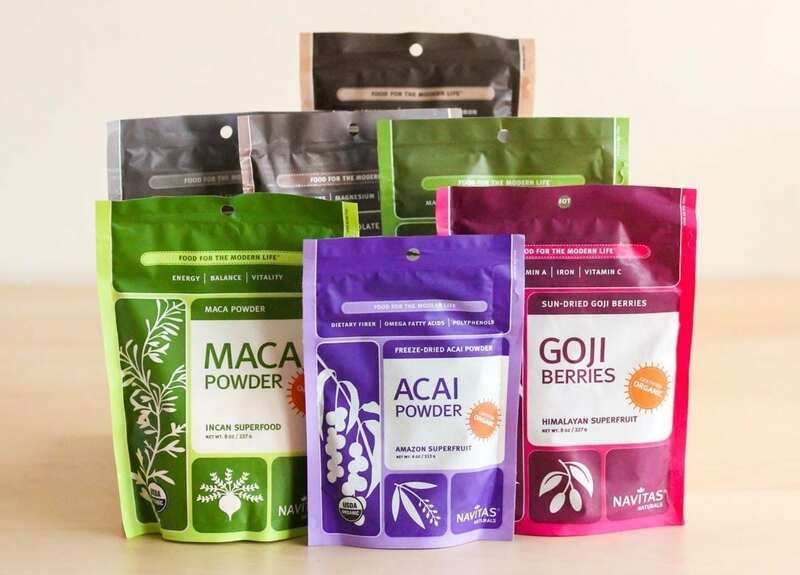 I have tried hemp seeds and chia, but I would especially love to try the Acai powder! I love making healthy smoothies in the summer and would like to try all of these ingredients. This is an amazing prize! Followed all on IG. 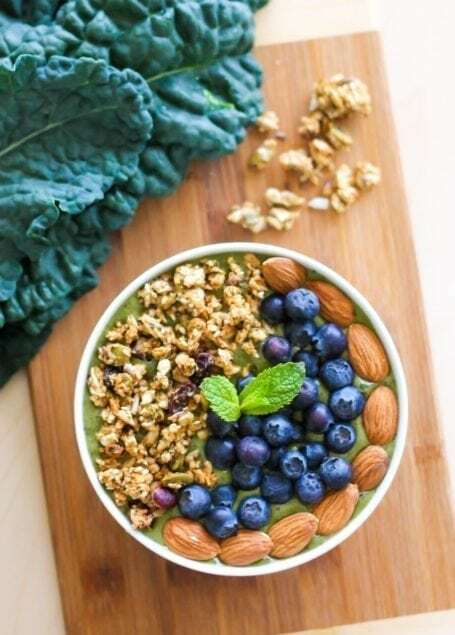 I’d love to try moringa & Acai powder! I’ve only tried the frozen Acai packs. I love cacao to get my chocolate fix and love chia seeds for protein and texture, I haven’t tried the others but gogi berries sound great! I love to add chia seeds to my breakfast almost everyday but, I would like to add maca powder too! Sounds like a true “superfood”! I’ve been on the fence for weeks about trying the maca powder because I keep seeing it everywhere! I’d love to give it a try. I made this today, substituting spinach from my garden instead of the kale. 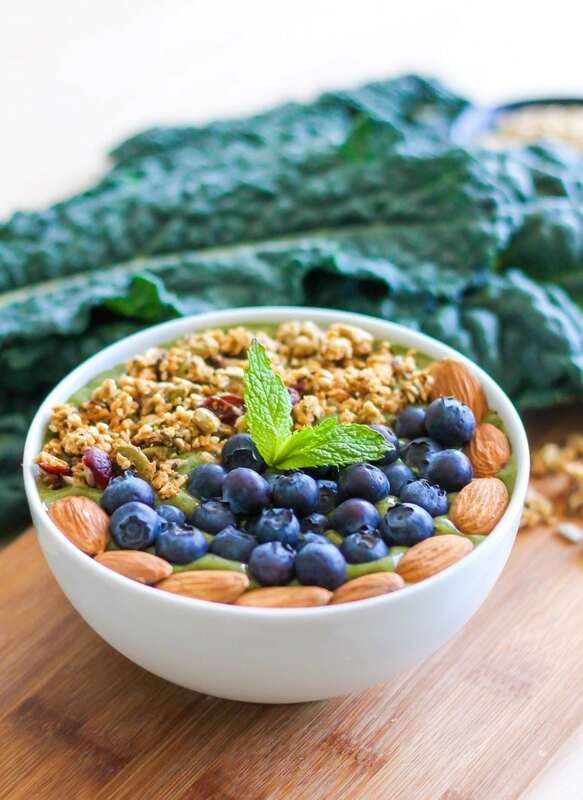 My first smoothie bowl – delicious! Aw thank you for letting me know Linda! I’m so glad you enjoyed this one, and hope it’s the first of many!